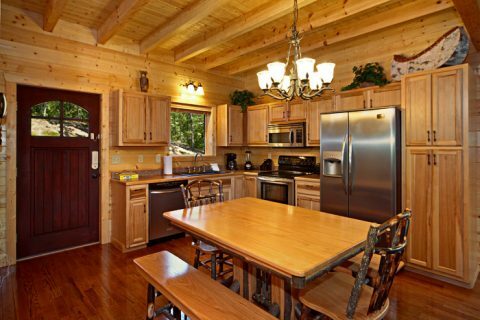 This Wears Valley 2-bedroom cabin rental places guests in one of the most photographed areas in the Smokies. 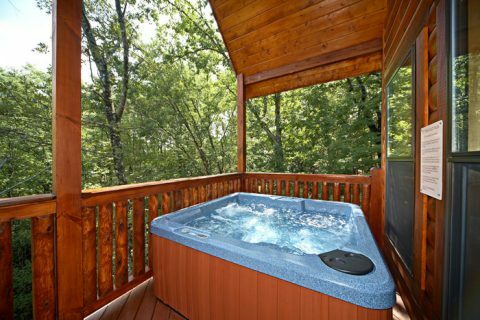 "A Friendly Forest" is an upscale 2-bedroom cabin with wireless Internet access, a hot tub, a jacuzzi tub, a pool table, a foosball table, stone fireplace, barbecue grill, fully equipped kitchen, and more! 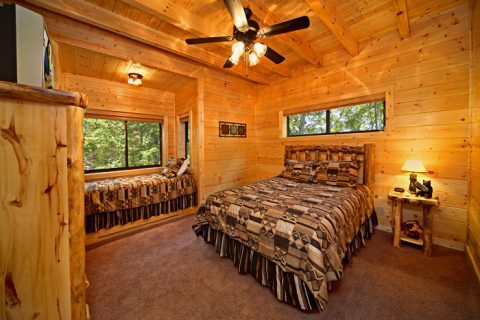 This cabin that sleeps 7 guests offers visitors a peaceful, secluded mountain retreat while remaining just a few miles from Downtown Pigeon Forge. 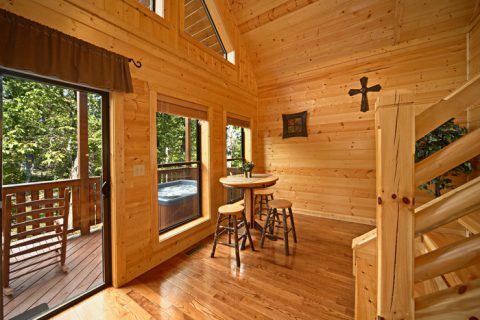 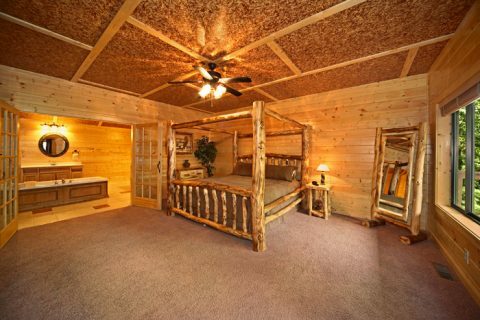 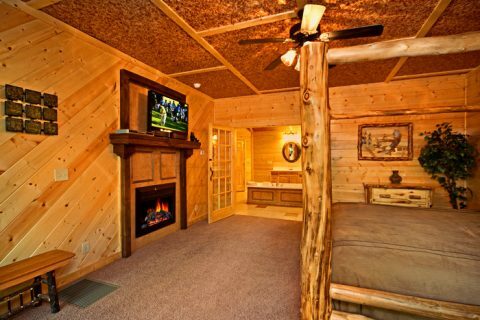 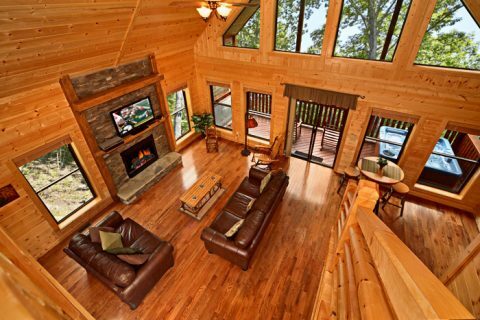 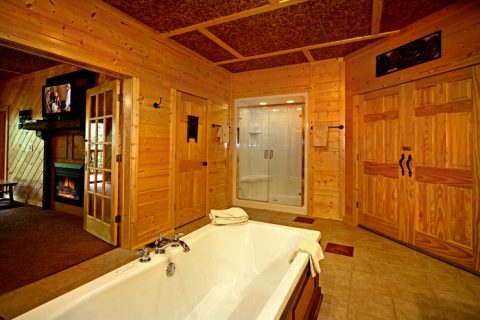 This cabin rental's amenities and location promises to make your stay in the Smokies an astounding vacation adventure. 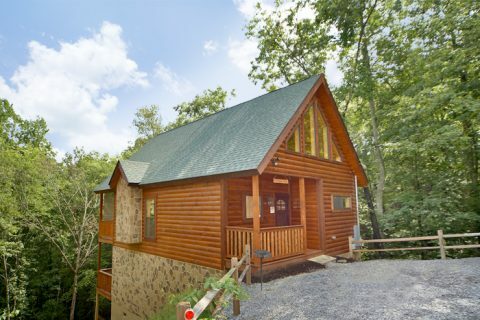 Visit the many locally owned shops throughout Wears Valley for unique gifts and fun for the entire family. 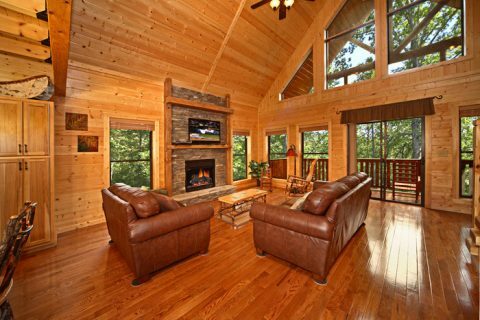 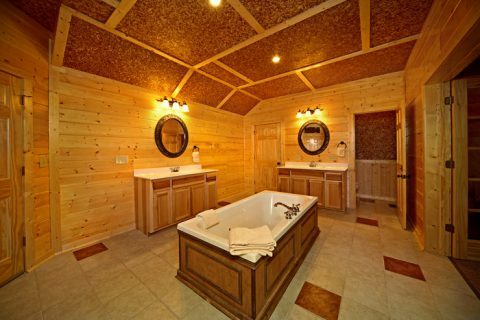 After an exciting day of shopping, let the warm ambiance of this Wears Valley cabin rental's natural wood furniture greet you and your family as you light a fire, cook a scrumptious meal, jump in bed for a rejuvenating nap, or relax in the hot tub. 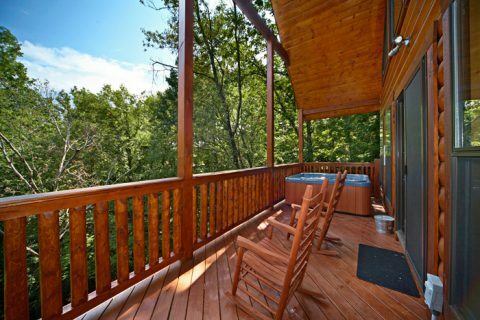 In the evening, step out onto your cabin's deck and look up into the gorgeous Smoky Mountain night sky. 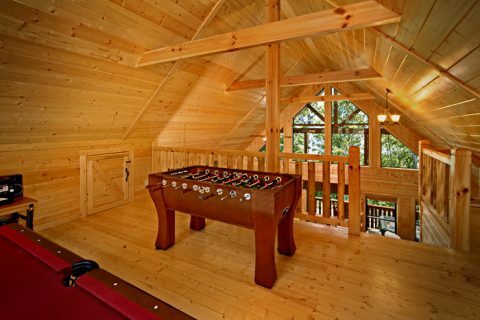 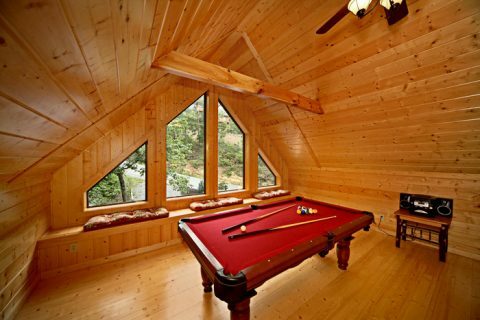 For some in-cabin entertainment, enjoy a round of pool in the game room or enjoy your favorite movie in the living area. 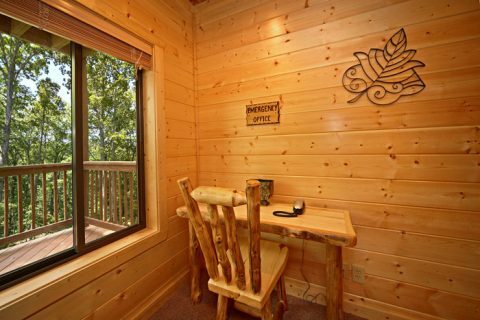 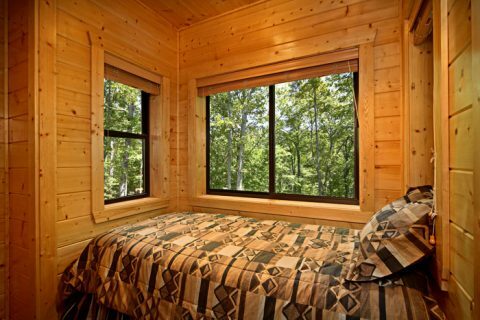 Book your Wears Valley 2 bedroom cabin rental online for an immediate 15% online discount!